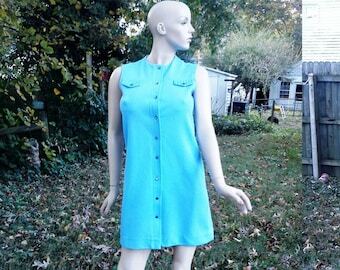 I rarely find an Edith Flagg dress, but when I do, I snap it right up! 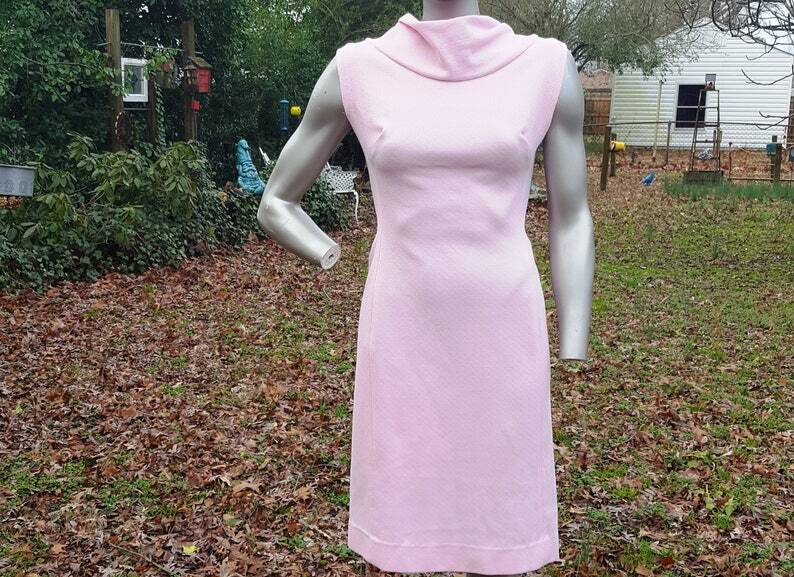 60s dress in pink has a cowl collar and is sleeveless. Fabric is "A luxury imported fabric" *Crimplene which is basically 100% polyester. *The now-defunct British chemical company Imperial Chemicals Industries Ltd. (ICI) developed and trademarked Crimplene in the 1950s. The thick polyester yarn is called Crimplene as is fabric made from this yarn. The yarn can be woven, but was most usually seen in a double knit. Crimplene fabric is heavy, wrinkle-resistant, wash-and-wear and easy to sew. The decade of the 1960s was Crimplene’s heyday (it made many an A-line dress) with lighter-weight polyester beginning to supersede it in the early 1970s.